In the latest collection video, we look at a Johnny Lightning Racing Dreams Race Car from Ocarina of Time. Originally released as part of The Greatest Race Cars That Never Were! 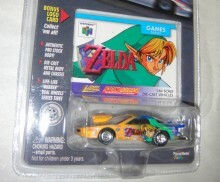 series, the Race Car was one of three video game cars in the series, along with one for Yoshi and another for Mario. Most of the other cars in the set were mainly for cereals, snacks, and candies such as Reese’s Peanut Butter Cups, Kellogg’s Frosted Flakes, PEZ, Fudgsicles, and several more. 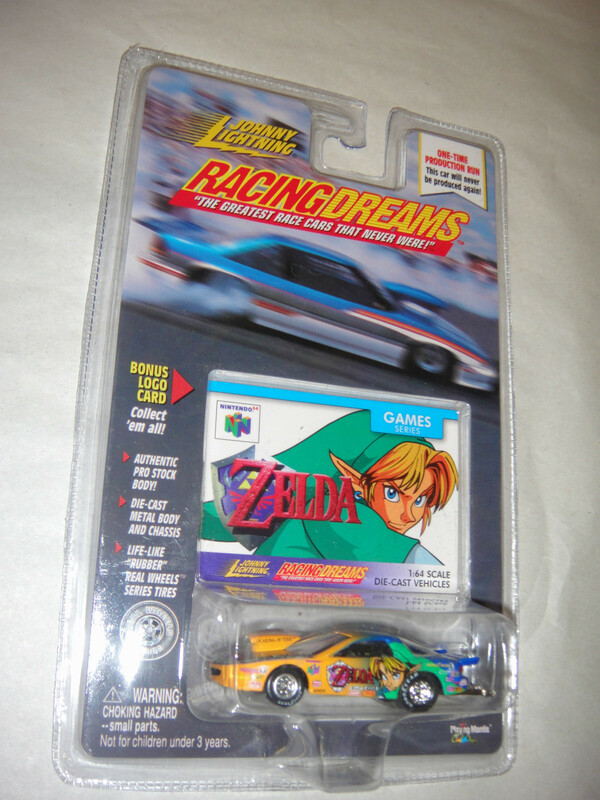 The Race Car is not exactly rare and you can find them on eBay anywhere from $10-$20 in their original packaging. If you don’t mind just getting the car loose without the packaging, then it is even cheaper. Go ahead and make the jump to check out the collection video and be sure to subscribe to us over at YouTube to get all our latest videos.